‘The colour of the paired Sal trees gives witness to the truth that all who flourish must necessarily perish. Those who flaunt their pleasures are not long for the world; the glories are as brief as the dream of a spring night’. This is a poem from the beginning of the Japanese epic The Tale of Heike written in the 14th century. It seems particularly pertinent to the destruction of the hotel Okura. The Hotel Okura (the institution and not the building) is going to knock down its one-of- the-kind main building this week, in order to build a new one. The annex will remain the same, but the bulk of the hotel will have already disappeared by the time that this issue is out, so it may now be correct to refer to it in the past tense. The news of its forthcoming demolition has created a stir amongst aficionados of building design, such as Tomas Maier at Bottega Veneta, Tyler Brûlé of Monocle magazine, and the eponymous Paul Smith and Margaret Howell. Determined to preserve this artefact of modernist architecture, Maier and Brûlé started separate ‘save Okura’ campaigns on SNS, which received thousands of signatures. What drove them to do it? The answer is, simply, the beauty of the hotel, which lies in the calm atmosphere and lean aesthetic, the design of furniture, the hospitality of the Kimono-clad attendants, or even the texture of sofas. It has often been called the masterpiece of Japanese modernism, taking the tenets of modernism but adding a brush of delicacy and a touch of Japanese tradition. Built in 1962, two years before Tokyo’s first Olympics, it was a grand project borne of the economic optimism of the times and the passion of Kishichiro Okura, the second successor to the Okura conglomerate. They picked what they believed were the greatest creative talents in the fields of architecture, design, craft and art, and formed them into teams. After Japan had been through the hardships of war and post-war reconstruction of the whole country, to have the honour of organizing the Olympics, and to see shoots of opulence growing out of the rubble of post-war Tokyo was a boost to national morale almost inconceivable to a modern mind-set. When entering the main lobby of the Okura, you found the tables and chairs inspired by the appearance of plums, soft screens which projected the shadow of bamboo as it got dark outside, and famous ‘Okura lantern’, hanging chains of lights made into the shape of the cut-balls used in ancient Japan. These are all gone now, though. Some have claimed that the dynamic behind the Okura’s re-construction is simply that the cultural value of the building counted for less than its potential economic value. However, I doubt that the situation is so simple. 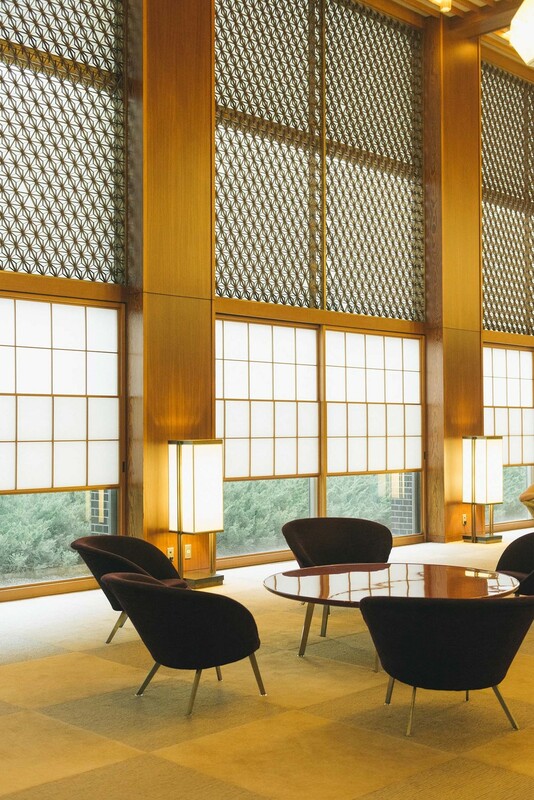 The (now demolished) Hotel Okura was a great project of the Okura family, and it is difficult to imagine they under-valued it in either historical or cultural terms; it is said that it took them more than five years to decide whether to press ahead with the re-construction. They gave two reasons – one, a safety issue caused by the aged facilities, the other the hotel’s financial difficulties. In terms of safety, their primary argument was around earthquake resistance, which struck a chord amongst the very earthquake-jittery residents of Tokyo. I would have personally preferred to see them invest in earthquake reinforcement to retain the building, though. The second reason, which feels more significant, is the difficult business environment; the then-president of Hotel Okura, Toshihiro Ogita, has admitted that they have been in the red owing to the combined effects of the financial crisis and the great Kanto earthquake, mainly owing to a reduction in guests from abroad. With the Olympics coming for the second time to Tokyo in 2020, the new hotel aims to be finished by 2019, with two buildings (one of 38 floors, one of 13) with higher ceilings, more space, 550 rather than 408 rooms in total, and space for office tenants to stabilise the profits. 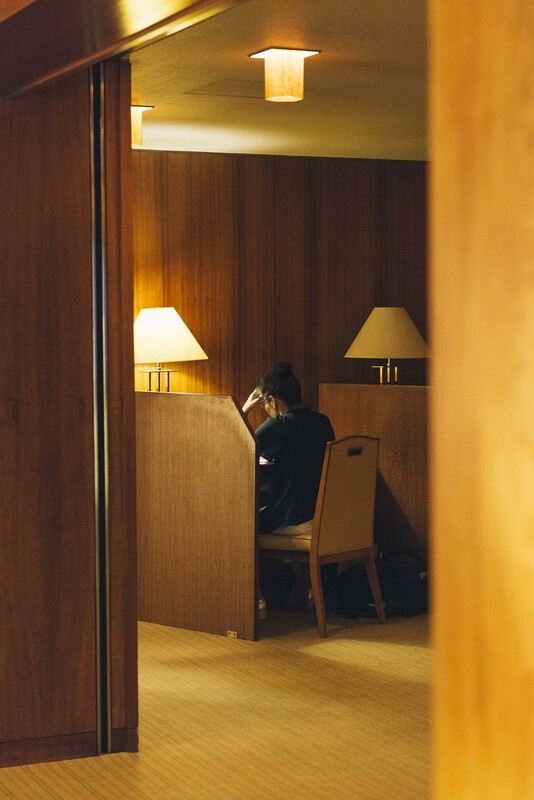 I was writing this article in the main lobby of Okura on one of its last remaining days, and it is difficult not to witness what is going on around me without a sense of irony. Bus tours are bringing in 30 people at a time, most of whom are hanging around and taking photos of each other and themselves. This behaviour was unknown a year ago, and I assume that many of them have never come before. People are coming, just because the end is coming for the hotel. This makes me wonder who is really tearing down the Okura, after all. Is it the company, is it the blindness of the Japanese public in constantly chasing new things, is it the financial crisis, or is it us, who didn’t realize its value until the last week of its existence. The only thing we can hope now is that the spirit of the Okura will not vanish along with the building. The Okura has hired the architect Yoshio Taniguchi as head of the re-construction team, the son of Yoshiro Taniguchi, who designed the main lobby and the bar, Orchid room. I know it will not be the same, but I hope the aesthetic still survives somehow into the future. This has been a painful topic to write about, and I do not want to get used to using the past tense to talk about the beauty of Okura, yet. Sayonara, Okura. But please remember that I’m looking forward to seeing you again.